You are here: Home / Main Content / Featured Sources / Featured Source: Does the Camera Ever Lie? The San Francisco call. (San Francisco [Calif.]), 25 Aug. 1901. Chronicling America: Historic American Newspapers. Lib. of Congress. 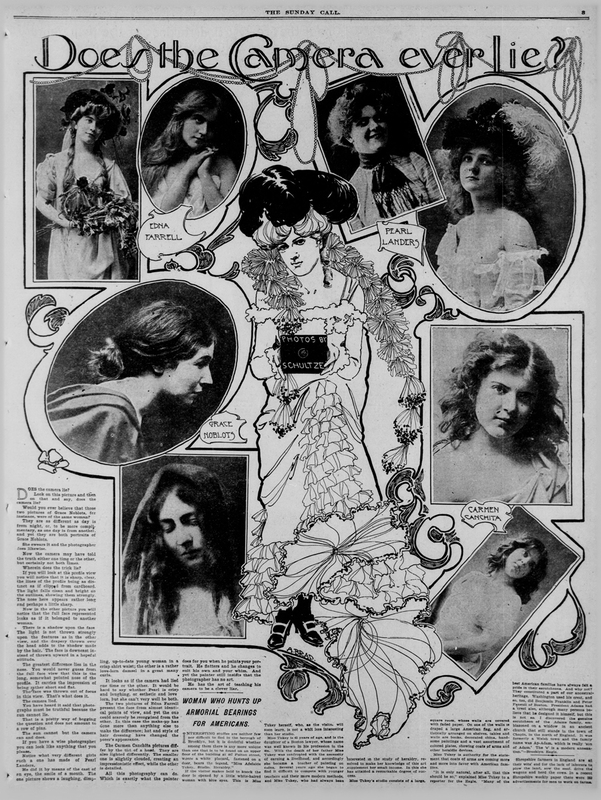 Zoom into a more detailed image of this newspaper page from 1901. Read only the headline and image captions. Then carefully review the images and make an educated guess about what the article will discuss. Now read the article. How does it answer the question posed in the title? What evidence is provided to support this view? Do you agree with this view? Why or why not? How do cameras “lie” today? Provide at least two examples and discuss what it means for the readers of such images today and in the future.